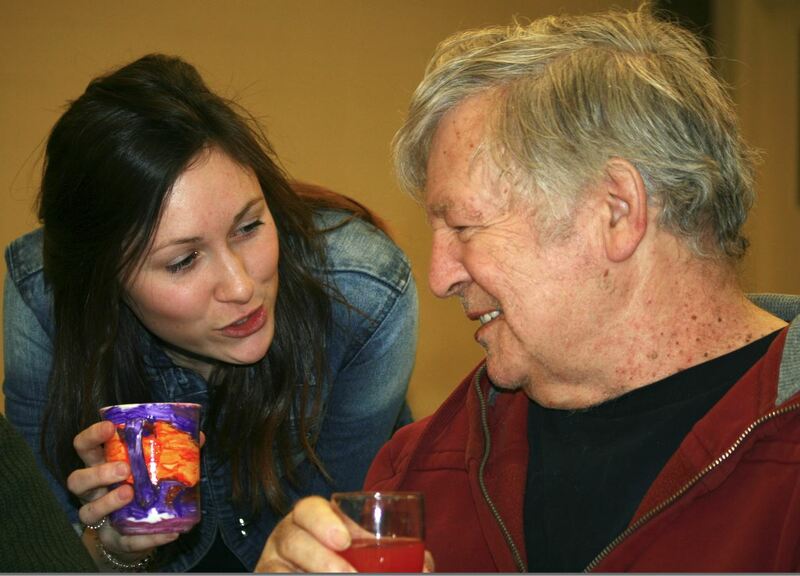 Coordinator Audrey-Ann Truchon complements Bob on his painted cup before he presents it to Peter at the Volunteer Appreciation Party. In 2013, I had the opportunity to do a one-year field placement at Our Harbour under the supervision of former Coordinator Perveen Khokhar. This field placement taught me a lot about mental illnesses, supervised settings and social services. Overall, my experience as a stagiaire was extremely enriching and permitted me to develop a passion for working with individuals living with mental illnesses. In November 2017, four years later, I was lucky enough to become once more a member of the Our Harbour team, this time as a part-time Coordinator. When I started working for Our Harbour, I was amazed by how much this small organization has grown over the years. I am very proud of being yet again part of the Our Harbour journey.